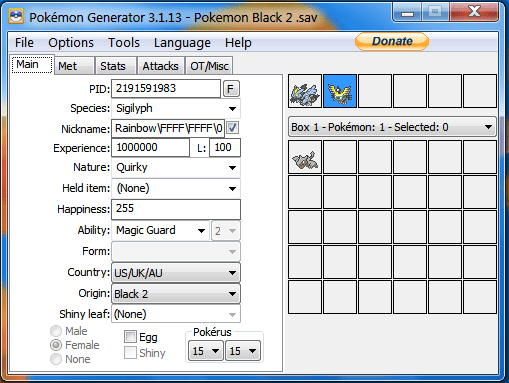 PokeGen is a Pokemon data editor for Diamond, Pearl, Platinum, Heart Gold, Soul Silver, and Black and White 1 & 2. It works from a computer and can interact with a game by using one of these: an Action Replay, a flashcart, or a GTS sending program. 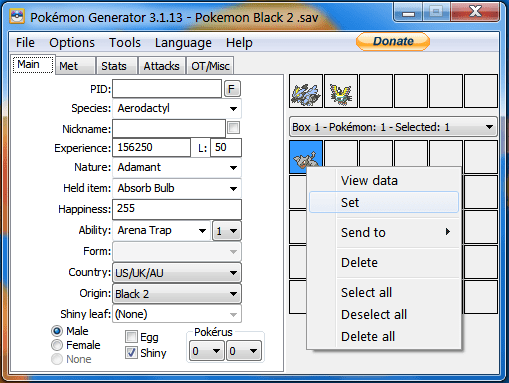 PokeGen focuses on making Pokemon editing easy, while still keeping Pokemon legal in terms of the game itself. 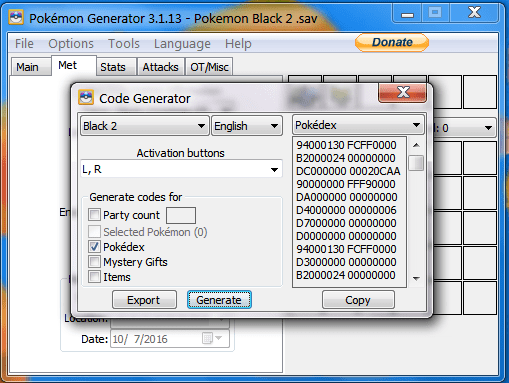 Pokemon generated by other programs are more likely to look “hacked” than a Pokemon generated from PokeGen. Note: If you are looking for a simpler way to do this right from your DS flashcart check out: PPSE-DS Homebrew. Check out the official forum or download the program by clicking here. Windows XP or newer is required. However, it does run without issues on “emulated” Windows programs for Mac OS and Linux.